For the most part, the big shifts from our preseason rankings are on account of batting. For two fallers – the Perth Scorchers and Brisbane Heat – it is because some prior concerns have come to pass. For the big riser – the Melbourne Renegades – two stellar performances with the bat in hand have, well, forced our hand. The season is still extremely young, which is something it’ll take some time to get used to. Historically this would be the quarter mark of the short form season, and teams with two Ls on the board would be at panic stations. Now, well, there’s still a dozen games to go for every team in the league. Given this, we can’t go too hard too early. Yes, Perth’s batting has looked awful, but there’s time, and a key reinforcement on the horizon. Equally, the Melbourne Renegades have looked strong with bat and ball, but there’s an element of randomness about both of their wins. Adelaide has split the ledger thus far, with both of their games going down to a final over. Chasing 147 on a slow Gabba pitch in the first game of the season was a decent feat, while losing to the Melbourne Renegades on the back of a herculean Dan Christian innings does nothing to change their favourite status. The Strikers set the ‘Gades 175 on Sunday, and had their opponents needing 33 off the final three overs. I don’t have the stats but I would think they win this one nine times out of ten. Two meritorious wins see the ‘Canes jump up to second in the power rankings, and suddenly last year’s winner and runner-up are in the top two seeds. On both occasions, Hobart have been solid in both phases, initially defending a well-made 159 in a ridiculously rain-affected game that saw the teams both docked an over despite the only issue being a 15-minute delay to the first ball, and then comfortably chasing down 156. The only knock is their opposition to date, the Heat and the Stars, who currently sit seventh and sixth respectively on these rankings. However, D’Arcy Short looks ready to dominate once again, and the bowling lineup is balanced. 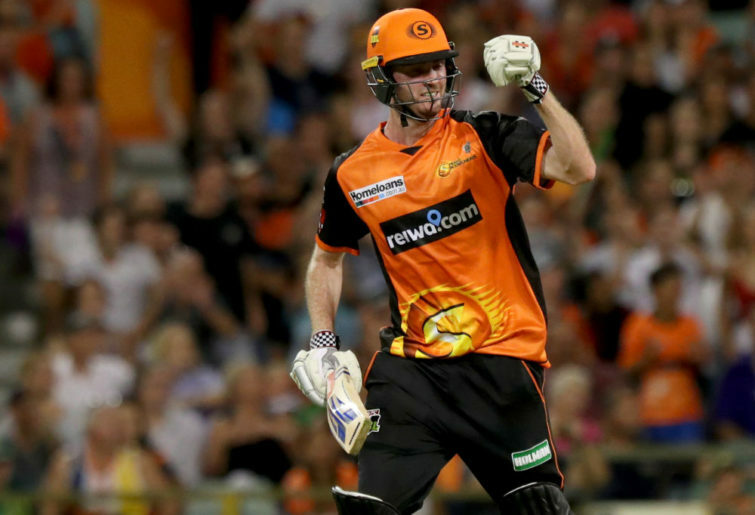 Two home games, against the Thunder and Scorchers, could set up their season. It has been an ugly start for the pre-tournament favourites, mostly centred on a flimsy batting line up and some unfortunate individual overs by their much-vaunted attack. Fortunately, as best as I can tell, it has been poor shot selection and weak execution more than anything else for the Perth batsmen. Sam Whiteman’s bizarre decision to charge Sixers’ spinner Steven O’Keefe – only to be stumped by half a pitch after O’Keefe darted it by him – is a case in point. Perth’s batting lineup looked rough coming into the season, but is about to be smoothed out with the return of Cam Bancroft. Regarding the bowlers, AJ Tye seems to have lost his stock ball, which has become some kind of medium pace half volley that screams hit me. Tye has gone for a boundary in every over he’s bowled to date. His first over of the competition arguably spoiled Perth’s chance to salvage a poor display with the bat as he allowed the Renegades to move from 4/19 to 4/32 at the end of the first powerplay. Perth has two games this week: at home against Adelaide today and away against Hobart. Two critical tests. While 0-4 isn’t tournament-ending, it would make a finals berth a tricky proposition. The Renegades have looked like one of the best teams in the tournament to date, though have benefitted somewhat from T20’s patented randomness. Knocking the Perth Scorchers over for a tick over 100 was fortuitous, and Melbourne did its best to stuff it up after falling to 4/17 in the chase. Similarly, conceding 174 to the Adelaide Strikers, and really failing to make any headway with the ball in that innings, only to be bailed out by new recruit Christian, was fortuitous. Despite that, I can’t help but look behind the outcomes and consider the process. Melbourne bats deep, particularly if its youngsters Sam Harper and Kelvin Smith can put together 20s and 30s around the more experienced players. The bowling line up looks weak, however, Scorchers game notwithstanding. Melbourne has one game left before next week’s rankings – against the Sydney Sixers – so we perhaps won’t learn enough to see whether their 2-0 start is real or random. The Thunder only get a little boost, despite sitting on top of the ladder at 2-0 with the best net run rate in the competition. They don’t move higher because, like the Renegades, their wins have been aided by T20’s noise. There’s also an element of who have they played. Their first victory came in a significantly rain-affected game against the Melbourne Stars, who had eight overs to chase 90 runs. Their second came against the Sydney Sixers, with Jos Buttler (who is only with the Thunder for another handful of games) putting together a flawless 63. To date, the Thunder have looked as complete as the Hobart Hurricanes; the question mark is what happens when Buttler and fellow Englishman Joe Root leave for a short form series elsewhere. If they can make it rain – pun 100 per cent intended – while Buttler and Root are in town then anything can happen, particularly if they continue to get good output from the likes of Daniel Sams, Jason Sangha and Fawad Ahmed. I still think they’re more likely than not to fall away, but let’s see. The green Melbourne team finds itself second from the bottom with two losses, though one came in a Duckworth-Lewis situation and the other was an honourable away loss to the Hurricanes. One issue immediately springs to mind: the continued failure of Ben Dunk at the top of the order. Check this out. 0, 6, 5, 47, 1, 0, 7, 12, 7, 30, 2, 10. At the same time, Glenn Maxwell comes in at number four and Marcus Stoinis at number five, despite being far and away the safest bets in the Stars’ batting line up. That has to change. Melbourne has rolled out a Frankenstein defensive strategy, giving seven bowlers at least an over in both of its games to date. They can do it because of Stoinis and Maxwell, plus the handy medium pace of Dwayne Bravo (though he’s looked mostly non-threatening to date). They’re interesting, but a little bit haphazard to hold any faith for now. The big preseason slider, Brisbane’s side looks unbalanced in both phases. The Heat seem to need either Chris Lynn or Brendon McCullum to go off to put up a score large enough for their weak bowling lineup to defend. That’s a streaky strategy that could look genius if it comes off, or decidedly silly if it doesn’t. An injury to James Pattinson hurts more than it would for most teams, and the Heat now have one of the most pedestrian bowling attacks in the competition. It’s not great. The Heat don’t play at all ahead of next week’s rankings, so don’t get a chance to prove me wrong. So the Sixers beat the Perth Scorchers, but it took a record fourth-wicket stand by notable T20 batsmen Jordan Silk and Daniel Hughes. Before that partnership, Sydney were 3/30 from five overs and looked about ready to fold. Fold they did against the Thunder, falling to 6/56 off nine overs chasing 170; import Tom Curran (who should’ve been man of the match for what it’s worth) kept the Christmas eve crowd entertained with 62 off 40 to give his team a faint chance of an unlikely victory. Sydney’s line up has looked as weak across-the-board as advertised, and it’s hard to see them making a run for a finals spot without a serious dose of luck. Five games to come this week, with no Brisbane Heat and a double dose of Scorchers, Hurricanes and Sixers. 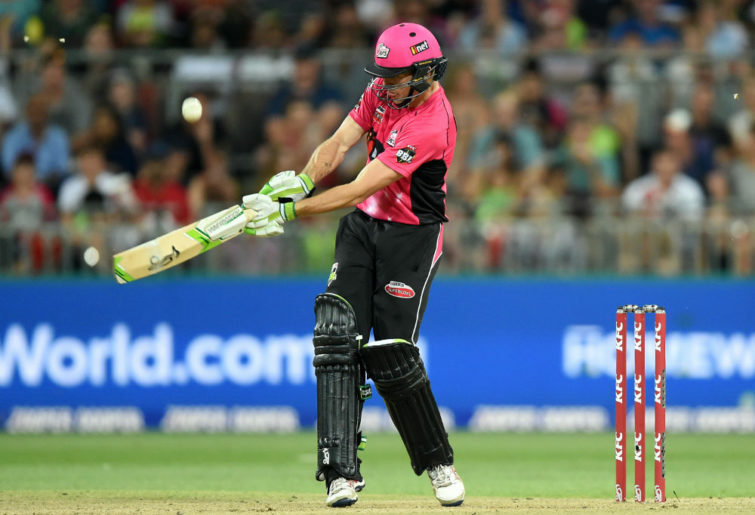 Tonight’s match between Perth and Adelaide looks the pick of the bunch, though the two Hurricanes matches (against the Thunder and Scorchers) will also help us sort out who’s who in BBL|08.